Don't miss this coupon to save $5 on the floppy-eared Disney classic available next week! 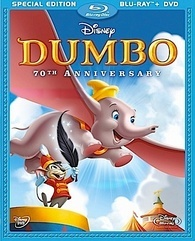 Disney has just launched another coupon offer this time to save $5 on 'Dumbo' Blu-ray available on September 20! This coupon is valid in the United States and Canada only and the offer expires September 25.